The idea of having birth photos taken was a big turn off when I was pregnant with my son. I had no desire for the moment my baby’s head crowned to be forever captured in keepsake baby birth photos. Then I had the most transformative experience of my life and the photos taken were…well…terrible. There were a few gems but most of my birth photos were either blurry or overexposed. 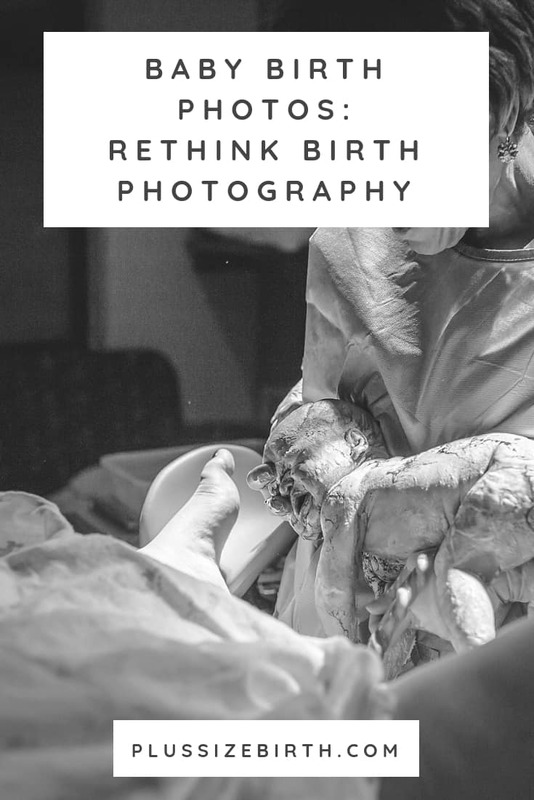 So now I’m rethinking birth photography and encourage you to do the same. I’ve learned that hiring a birth photographer is a lot like hiring a doula, you need to find someone who is a perfect fit for your family! It’s also kind of like wedding photography because you get to specify what you would (and more importantly) wouldn’t want when photographed. While hiring a birth photographer can be expensive, it’s the second best baby gift friends and family can bestow upon you (a doula being the first). 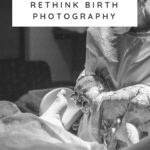 Since baby birth photos are becoming so popular, I’ve invited Jennifer of Jennifer Mason Photography to join us and talk about what it’s like being a birth photographer. As a photographer and mother, I am honored every time someone invites me into their birthing space to capture their story. Because birth is so personal and different for everyone, I want each family to feel comfortable with what I am photographing. To ensure that, I meet with each family before their birth to talk about what they envision for their photos, as well as anything they don’t want photos of. 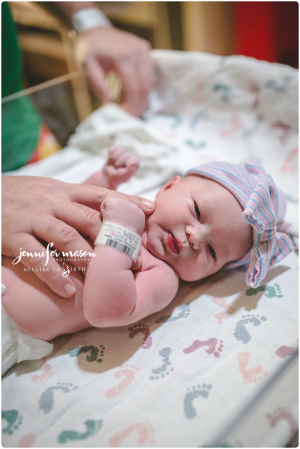 Most often, women don’t want crowning shots, and that’s ok, there is so much more to a birth story than that! 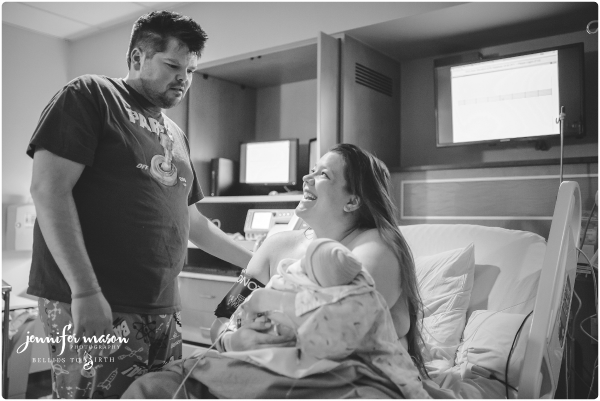 A birth story is full of love and emotion. Taking photos during such an intimate time, really allows me to capture the true love a couple has for one another. In the time that a couple works together to bring a baby into the world, I get to watch their entire family dynamic transform. 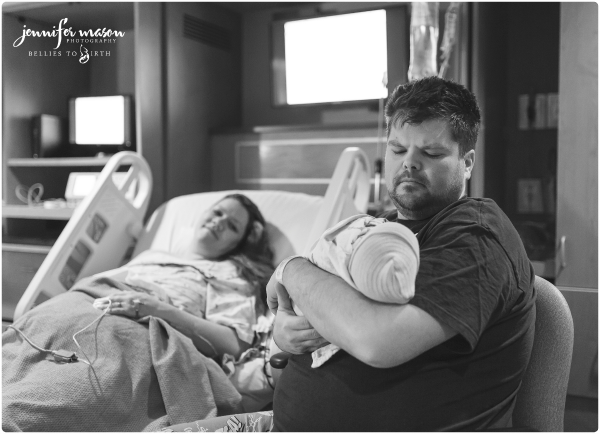 The moments that they share during labor and birth are some of the most incredibly emotional and beautiful moments in a family’s life. 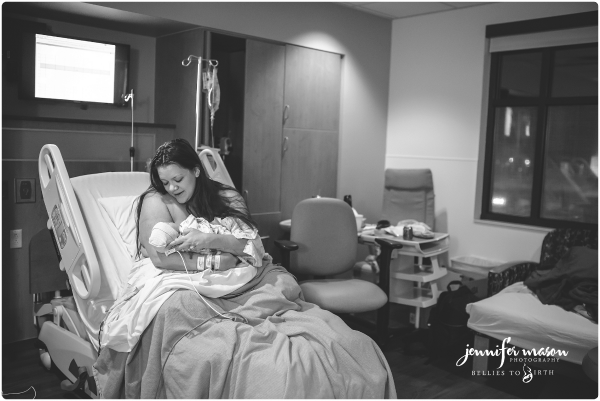 There is nothing that I love more than catching those sweet moments on camera for them to treasure all of their lives, and I’m so excited more and more families are choosing to make birth photography a part of their birth experience! This gorgeous family was welcoming a baby girl into their lives; she is 10 years younger than her big brother, who is her only sibling. Mom was supported during labor by her husband, 10-year-old son, and her parents and in-laws. Just after midnight in the early hours of December 31st, baby girl was born. Everyone except dad had left the hospital to sleep, and it was perfect for the two of them to bring baby girl into this world together. Dad was pretty nervous and mom said to him, ‘just look at my face, just look at me’, and he did. It was an amazing dynamic to watch mom comfort dad, as she was the one in labor. Mom pushed, dad held her hand and they stared into each other’s eyes, and baby girl was born just moments later. Now they are a family of four. Here are a few of my favorite photos from the night that she was born. 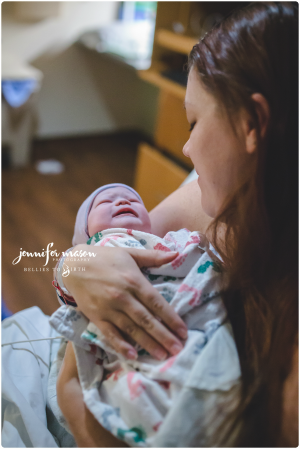 You can checkout more of these stunning baby birth photos on Jennifer’s website, jennifermasonphotography.com, and be sure to stop by Facebook and give her a like. See over 200 plus size pregnancy images here. Those are gorgeous photos! I didn’t have a professional photographer at the births of either of my daughters.. The first time I didn’t really consider it, the second time I figured I didn’t want an extra person present for the birth. The pictures we do have, though the quality is mediocre, are very special to me. If we do it again, I would definitely want a professional photographer. 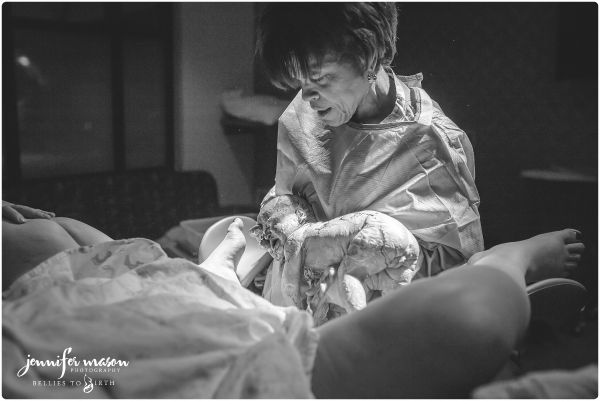 Not just to capture the moment, but also to show my girls that birth doesn’t have to be scary, it can be beautiful. We need more of that kind of birth narrative in our culture, as far as I’m concerned. Thanks so much for commenting Pam. I agree that we do need a new birth narrative in our culture!